Dr. Brian Freeland is currently the Dean of Health Sciences at American Public University System, a 100% online university. Brian was a Program Director for degree programs in sports and health sciences and sports management for seven years prior to becoming the school dean. During that time, Brian managed and taught courses in coaching, sports administration and leadership, and sports training and conditioning. Brian has an Ed.D. in Athletic Administration from Northcentral University, a Master's in Sports Management from the United States Sports Academy, and a BS in Health and Physical Education from Radford University. Brian coached high school basketball for 10 years in the state of Virginia. He spent time as an assistant boy's varsity basketball coach at Altavista High School, Floyd County High School, and Magna Vista High School. 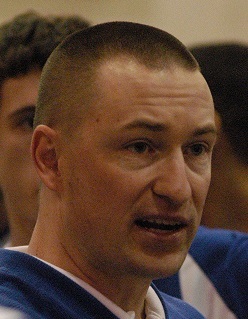 As a head varsity boy's basketball coach, Brian led Lynchburg Christian Academy to their highest win total in 2000-2001 and was named Valley District Coach of the Year in 2005-2006 for leading Rockbridge County High School to their highest win total.